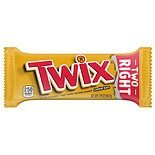 Shop Twix Chocolate Caramel Cookie Bars (3.02 oz. )3.02 oz. 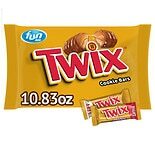 Shop Twix Cookie Bars Caramel (1.79 oz. )1.79 oz. 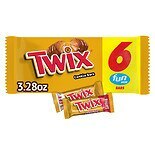 Shop Twix Fun Size Caramel and Chocolate Cookie Bars Caramel (10.83 oz. )10.83 oz. $159$1 and 59 cents$0.49 / oz. 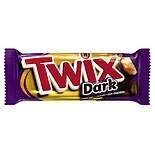 Shop Twix Caramel Candy Bar Dark (2 oz. )2 oz. 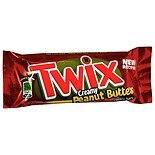 Shop Twix Candy Bar Singles Peanut Butter (1.68 oz. 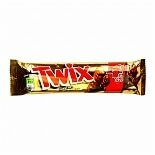 )1.68 oz. 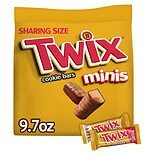 Shop Twix Caramel Minis Size Chocolate Cookie Bar Candy Bag (10 oz. )10 oz. 2 for 7 dollars and 00 cents or 1 for 3 dollars and 99 cents $3.99 $0.41 / oz.